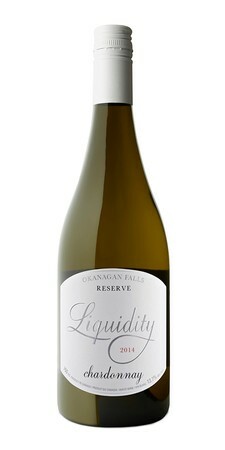 Liquidity Wines, which opened in 2012, has raised the visitor wine experience among the Okanagan Falls wineries with a wine shop that includes one of the most elegant restaurants in wine country. Now the winery is turning it up another notch by offering private VIP tastings of its recently released reserve wines. If that happens to be out of your budget, the experience at the regular tasting bar is very good, in part because the talent and focus of winemaker Alison Moyes. Pinot Noir winemakers are like that. Grant Stanley, who is now at 50th Parallel Estate Winery, once told me that he thinks of Pinot Noir 80% of the time. Yet his other wines taste like they get his full attention as well. The same is true of Alison’s wines at Liquidity. She went to Brock University to study winemaking. She came to the Okanagan in 2008, working with Osoyoos Larose on what was supposed to be a temporary work term. But as soon as she finished her thesis at Brock, she returned to the Okanagan as the winemaker at Stoneboat Vineyards in 2010. Stoneboat has Pinot Noir in its portfolio but Liquidity, which she joined in 2015, has a more ambitious Pinot Noir focus. That includes estate Pinot Noir, reserve Pinot Noir and a super-reserve called Equity. Her production notes for all of the other Liquidity wines, including the Pinot Noir, show equally detail-oriented winemaking. Here are notes on the current Liquidity wines. Liquidity Pinot Gris 2015 ($18 for 1,078 cases). This is a juicy, refreshing wine with peaches and pears both on the nose and on the palate. 90. Liquidity White Blend 2015 ($18 for 616 cases). This refreshing wine is a blend of Chardonnay, Viognier, Pinot Gris and Sauvignon Blanc. The wine delivers aromas and flavours of tropical fruits along with melons and ripe pears. 90. 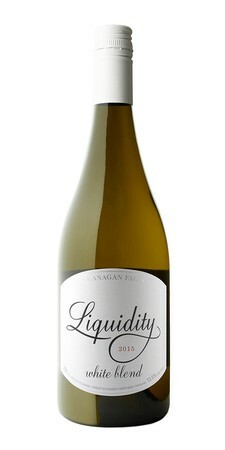 Liquidity Viognier 2015 ($25 for 565 cases). This wine begins with tropical aromatics, leading to aromas and flavours of apricots and peaches. The texture is generous. 91. Liquidity Chardonnay Estate 2014 ($26 for 374 cases). This was fermented in barrel, primarily with wild yeast, and aged in barrel for 11 months. The oak is very well integrated, adding a hint of toast to the core of citrus, pineapple and peach flavours. 91. 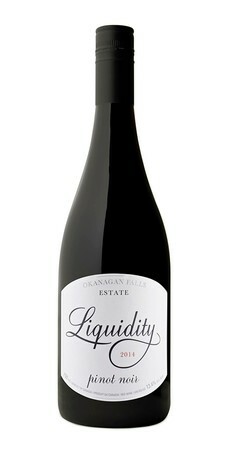 Liquidity Pinot Noir Estate 2014 ($26 for 910 cases). This wine was made with five clones that were harvested and fermented separately before being blended. There are aromas of raspberry and cherry leading to a medley of dark berry flavours finished with a hint of spicy oak. 90. Liquidity Pinot Noir Reserve 2014 ($42). A selection of the best barrels, this wine has rich flavours of cherry, plum and pomegranate set against smoky forest floor aromas. The texture is silky. 92.